MILWAUKEE (KGO) -- Daniel is an emotional support duck who was a big hit during a recent flight from Milwaukee to Charlotte. 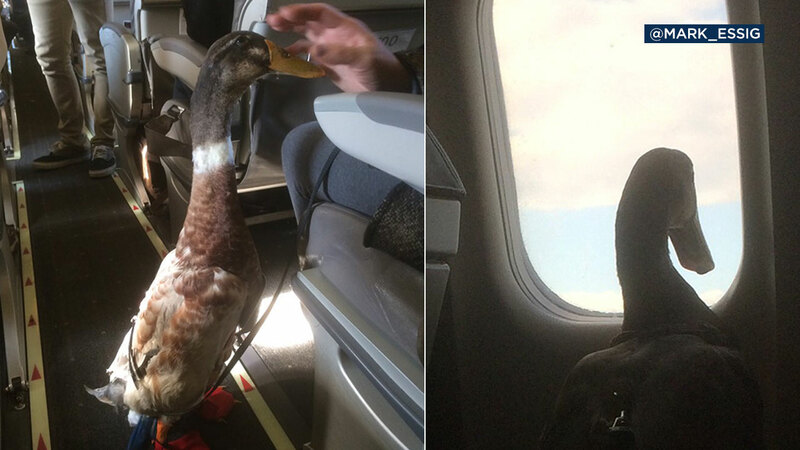 Passengers were surprised and delighted to see the duck, who wears little red shoes, on the flight. They posted video and pictures on social media. His owner, Carla Fitzgerald, suffers from Post-Traumatic Stress Disorder. She says she relies on her feathery companion to get her through the day. We hear Daniel the Duck was the perfect passenger.